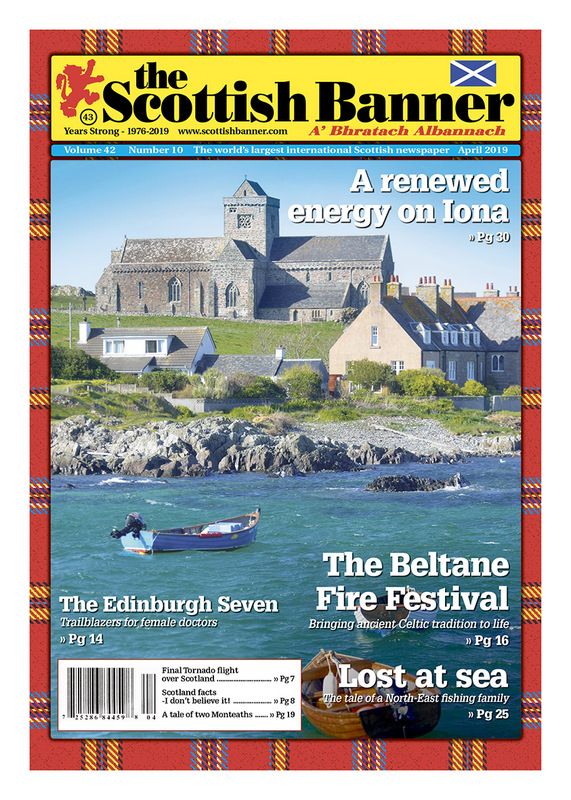 Gracing our front cover: Iona in the Inner Hebrides on the western coast of Scotland. This month North American Scots will be celebrating Tartan Day on April 6th. The day had its humble beginnings in Nova Scotia and today has grown to be recognised by official government bodies and includes celebrations across Canada and the USA. The first Tartan Day was held on April 6th, 1986 at a meeting of the Federation of Scottish Clans in Nova Scotia, which symbolically took place on the anniversary of the Declaration of Arbroath (the most famous document in Scottish history, which declares Scotland’s independence, drafted in 1320). 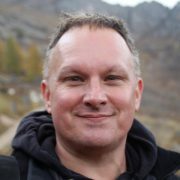 Whilst Tartan Day is not being celebrated this month in places such as Australia and New Zealand, they celebrate on July 1st, regardless of where you are in the world tartan one of Scotland’s true icons. The diverse history in textile manufacturing is one of Scotland’s great economies. The industry is today so much more than just producing world class kilts in someone’s family Clan tartan. Large fashion houses have used tartan in their collections and the textile industry uses tartan on multiple products such as homewares and fabrics, thus creating an exciting ‘tartan culture’. The industry continues to represent quality products that are made with tradition and tell a story of a nation, often mixing modern with historical threads, allowing it to reinvent itself. Go to any kilt maker or weavers and you will find a space awash with colour as there are literally thousands of tartans to choose from. Each year many new tartans are registered, and they of course are not all family linked. Tartans are created to mark special occasions, districts, anniversaries and more. Regular readers will know in each issue we feature unique tartans with our Tartan of the Month section, and the Scottish Banner even has our very own tartan marking 40 years of publishing! Tartan’s overall contribution to Scotland’s GDP is equivalent to approximately £350m per annum, with an estimated 700,000 people employed in the industry making it a huge part of the Scottish economy. After a long dark winter, most people look forward to bringing in the light and warmth of summer. This month in Edinburgh hundreds of very loud people will be putting on an ancient Celtic display at the Beltane Fire Festival to roar in the beginning of summer. Fire, drums and acrobats will certainly be letting Mother Nature know they are ready to receive the season in an event which has become a highlight of Edinburgh’s cultural calendar. A visit to a doctor today could easily be with a make or female and most would not even consider being seen by a man or a woman. Roll back to the 1860’s and things were quite different and a group of women who would become to known as The Edinburgh Seven opened up the possibility of women getting into the medical profession in the UK. Things were not easy for these women who suffered abuse and roadblocks to fulfilling their dreams, they however did fulfil those dreams and made not only Scotland, but the world know medicine was not a male only domain. One Scottish writer is honouring her father, a father she barely got to know, with a production premiering in Scotland this month. Lost at Sea tells the story of what many fishing families and communities have struggled with and uses the Northeast language Scots language of Doric. What a tribute to a father forever lost at sea, but never forgotten. Many who have passed are remembered with grave sites across Scotland, however one family has used incredible architecture to forever rest in peace. Two grand Victorian Monteath family mausoleums can be found in both Glasgow and the Scottish Borders. While some may find it morbid, I love going to a cemetery and reading about people and taking in how they are remembered. I have visited several Scottish cemeteries and soaked up the history of the place and those who came before. The Monteath cousins certainly have left Scotland with monuments for all to enjoy. Few fabrics I can think of speak to you like tartan and give the wearer a real sense of belonging and connection to Scotland. I have been to Scottish events in several countries around the world and you will always find many in tartan, it is a timeless product and carries a great legacy with it. You of course do not have to be Scottish to wear some tartan as it represents quality in manufacturing the world over. It also a fabric that continues to reinvent itself, showcasing more than kilts, and something more than just Scots aspire to owning. It is one of ‘brand Scotland’ top ambassadors and is renowned for its premium quality, allowing Scotland to be a nation of top production. Last year a design student from the Scottish Borders designed a tartan for the blind and vision impaired. Heriot-Watt student Anna Cuinu designed a knitted tartan fabric using stitch structures to translate colours and patterns from the traditional tartan fabric into a sensory one. This is a perfect example how the industry is moving along with a modern world and being of appeal to a broad spectrum of people. In todays fast fashion world products with heritage, legacy and that last are becoming more and more rare. Tartan has been part of the fabric of the story Scotland for generations and long may that weave of quality continue. Wishing those celebrating a fantastic Tartan Day this month, I know I will be wearing my kilt on April 6th!